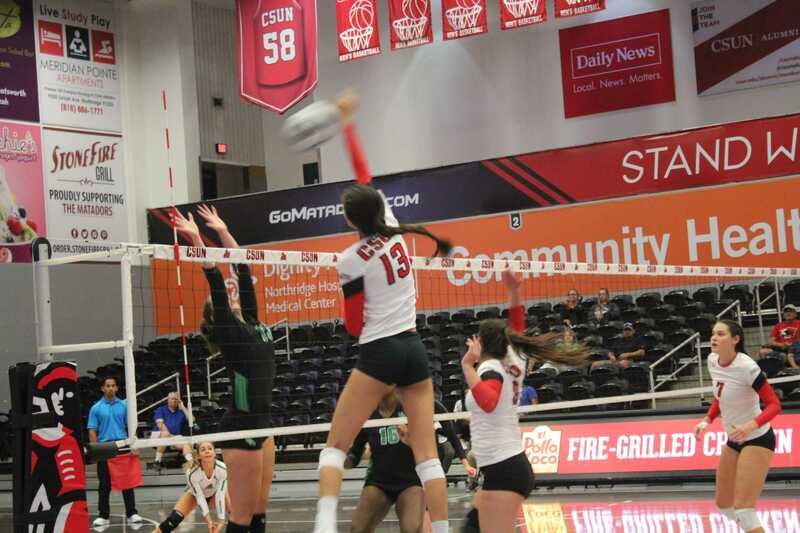 Women’s volleyball opened home play this weekend in a tournament hosted by CSUN and Pepperdine. 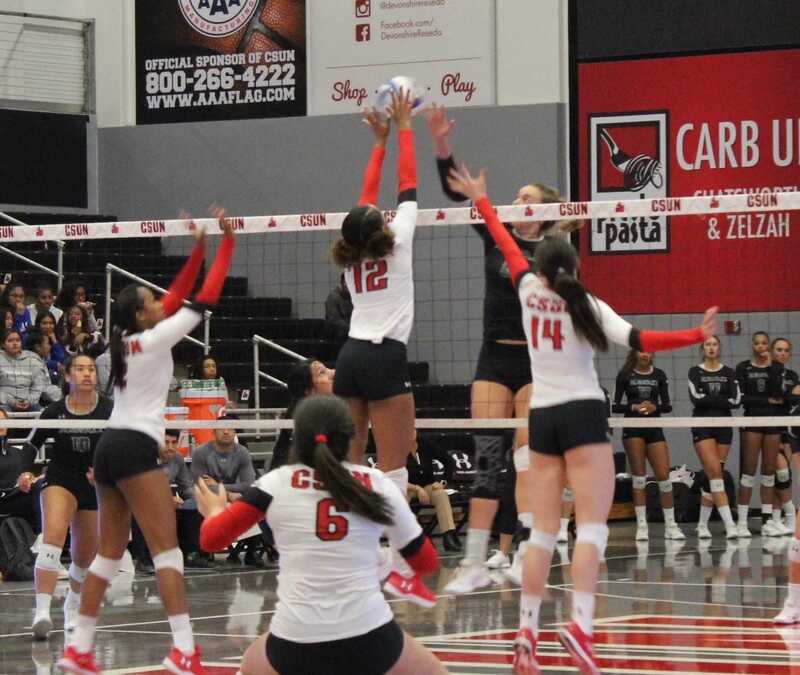 After a sweep of North Texas to open up the Matadome, CSUN fell in five sets to Idaho and then were taken down by the eventual champs Pepperdine, in Malibu. 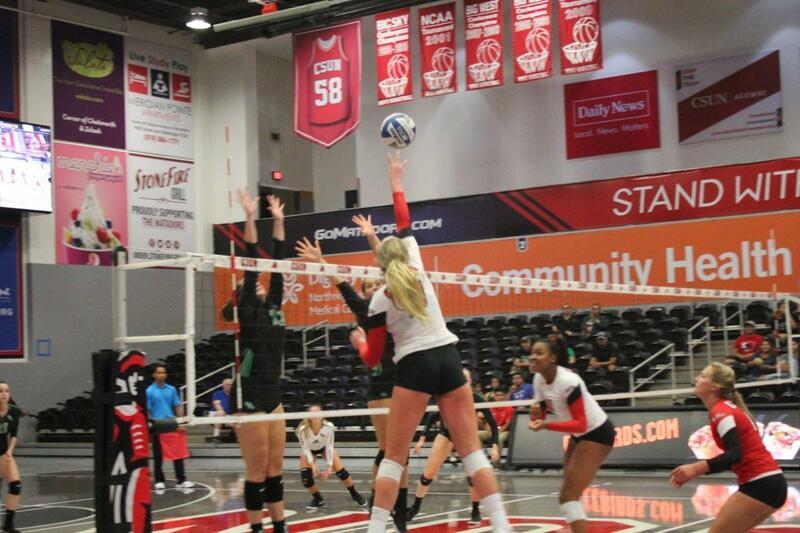 CSUN opened up the tournament with a convincing sweep over North Texas with with scores of (25-19, 25-20 and 25-14). 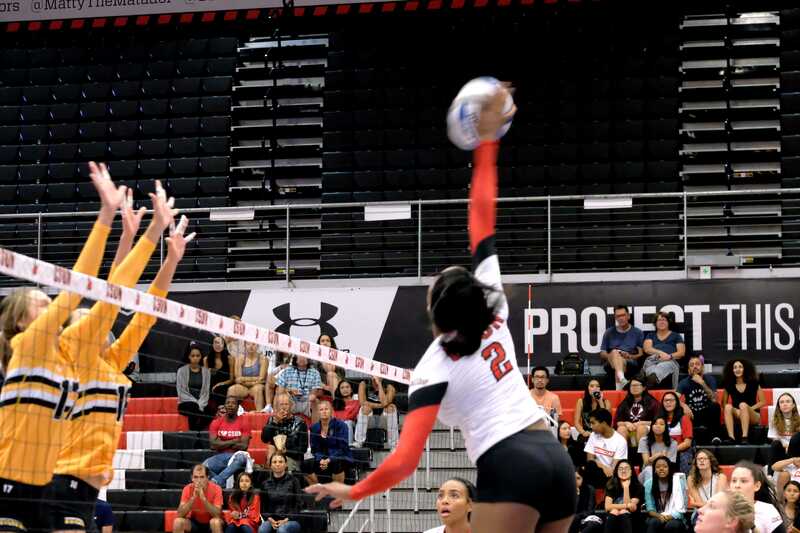 With minor defensive mishaps on the CSUN side the Matadors looked sharp. The back row was anchored down by libero Kristen Markle who racked up 22 digs on the night, three of which came from a single rally where the senior added some film to her highlight film. The attack was led by outside hitters Aeryn Owens and Lexi McLeod who combined for 28 kills in the win. The two lead the team in kills so far this season with Owens’ 102 and McLeod’s 64. CSUN then lost a close back-and-forth in their second game. The Idaho Vandals overcame the Matadors in a tight contest with scores of (24-26, 25-20, 21-25, 25-19 and 15-10). Even though the Matadors were outscored and dropped the final two sets, Coach Jeff Stork had some positive takeaways. 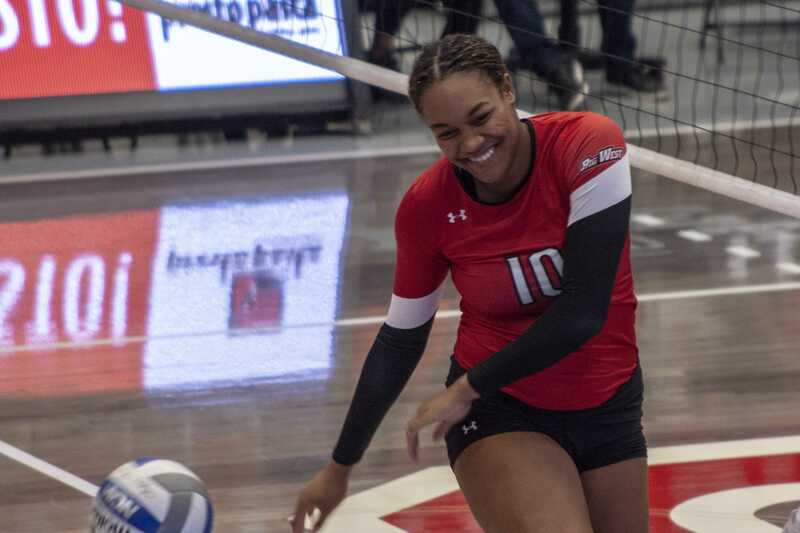 Owens and McLeod again led the Matadors in kills combining for 27 against the Vandals. However, the two also combined for 18 errors with a sub hundred hitting percentage. Stork noted that fans should be excited with where the team is at thus far in the season. The team then traveled to Malibu to face the Waves dropping the final game of the tournament. The team lost in four sets with scores (25-14, 25-17, 19-25 and 25-10). Pepperdine attacked CSUN well and aside from an off third set the Waves hit .492 against the Matadors leading to their third consecutive win in the tournament. 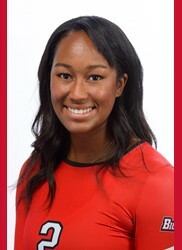 Owens led yet again swinging much better, racking up 16 kills on 32 swings. 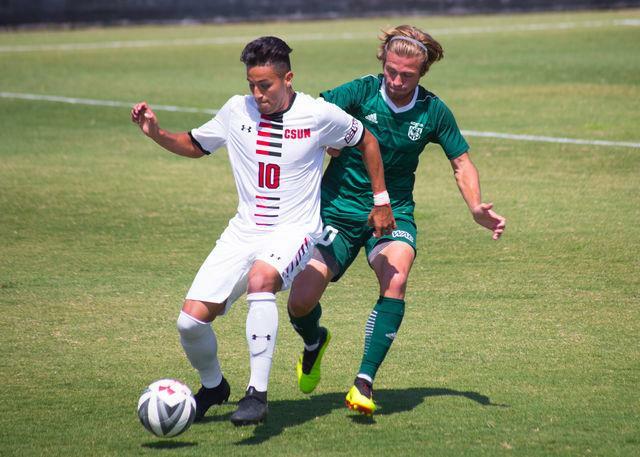 The Matadors now sit at 2-4, and have two tournaments in as many weeks to establish themselves before conference play begins Sept. 18. The team will travel out of state the next two weekends before returning home to open Big West action in Northridge when rival Fullerton visits.